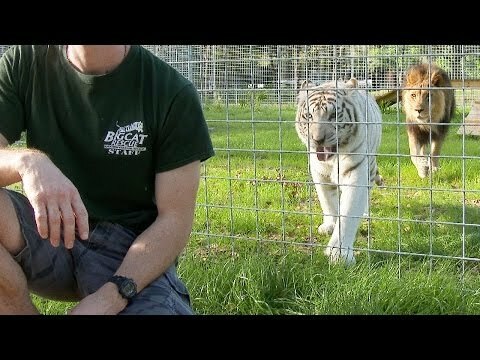 There are 7 cat videos tagged with cheetah. 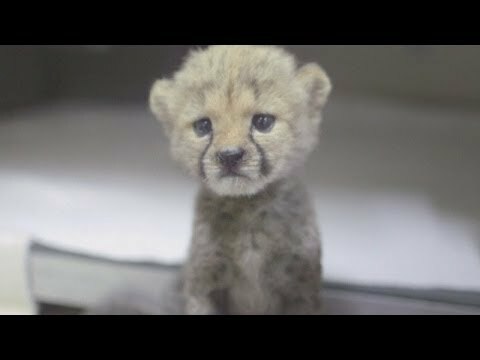 The Smithsonian Channel explains in this cat video that while the cheetah is the fastest land animal, they can't run fast for too long or they risk overheating their heart and brain. 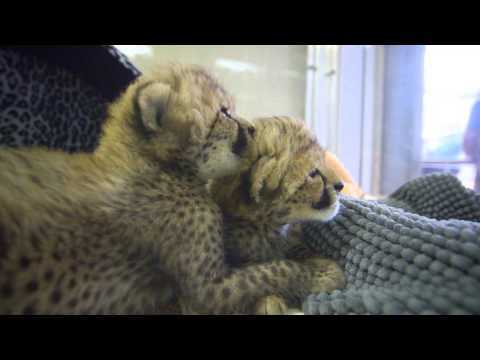 Two three-week-old cheetah cub sisters hang out at the San Diego Zoo Safari Park. Their mother was unable to raise past litters so the staff at the zoo are taking care of the cubs around the clock. 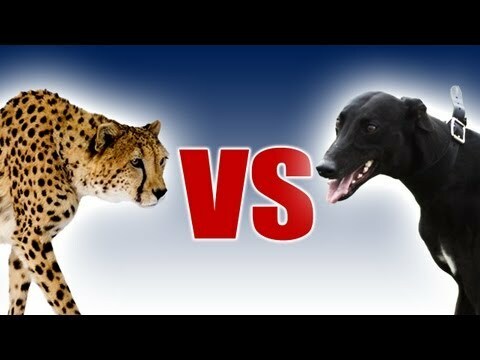 Each cheetah will be paired with a dog for companionship! 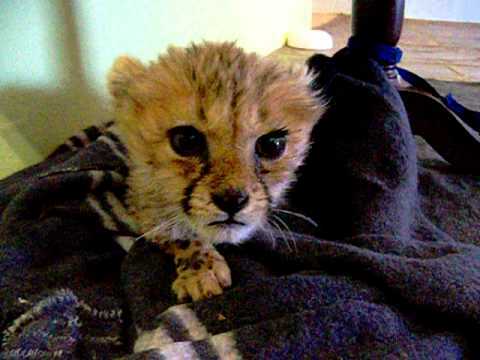 This cheetah kitten named Nala was in Namibia Africa when I was visiting some friends of mine this past summer. Her mother was killed by a car, so my friends kindly took care of her. She was well fed and had 44,000 acres to roam around in and be safe. Enjoy!